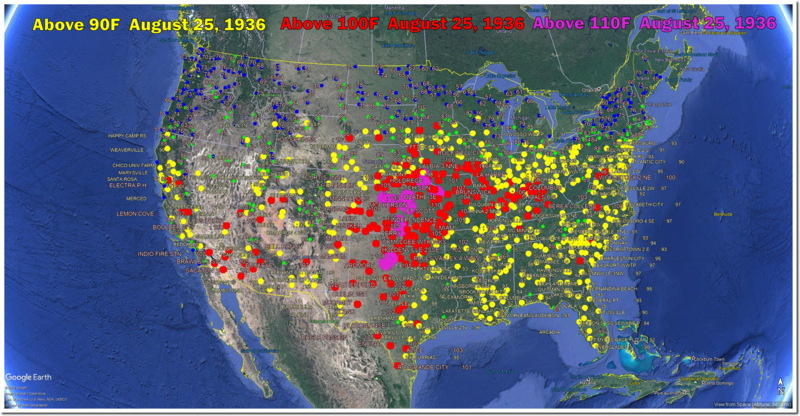 From August 8-28, 1936, Lamar, Missouri was over 100 degrees every day, and averaged 105 degrees. Peak temperature was 113 degrees. During July/August 1936 Lamar averaged 102 degrees, compared to 89 degrees in July/August 2018. Peak temperature in 1936 was 118 degrees, compared to 98 degrees this year. In 1936, Lamar had sixty-one days over 100 degrees, compared to no days over 100 for the past six years. The 21 consecutive days over 100 degrees during August, 1936 was the all-time record. Lamar has now gone more than 2,000 days without reaching 100 degrees. 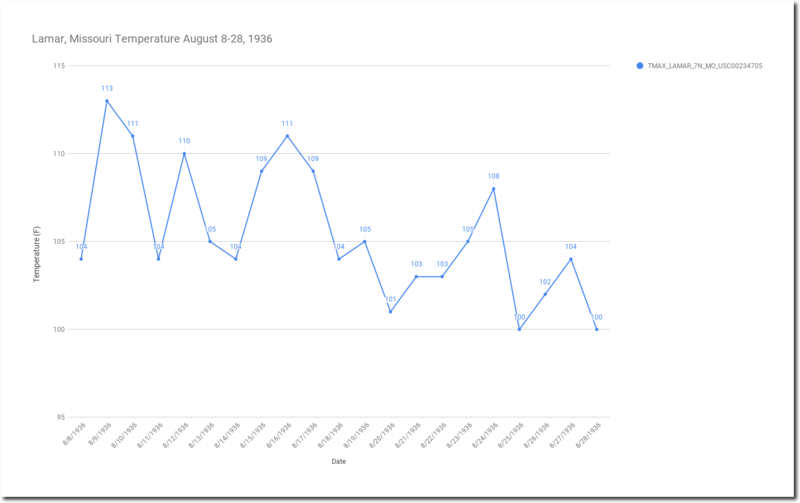 Summer afternoon temperatures in the Midwestern US have plummeted over the last 90 years, but facts and data have no meaning to climate alarmists. On this date in 1936, it was 113 degrees in Kansas, 112 degrees in Nebraska and Texas, and 111 degrees in Oklahoma. The were 100 degree temperatures from California to Virginia, and from Texas to Minnesota. 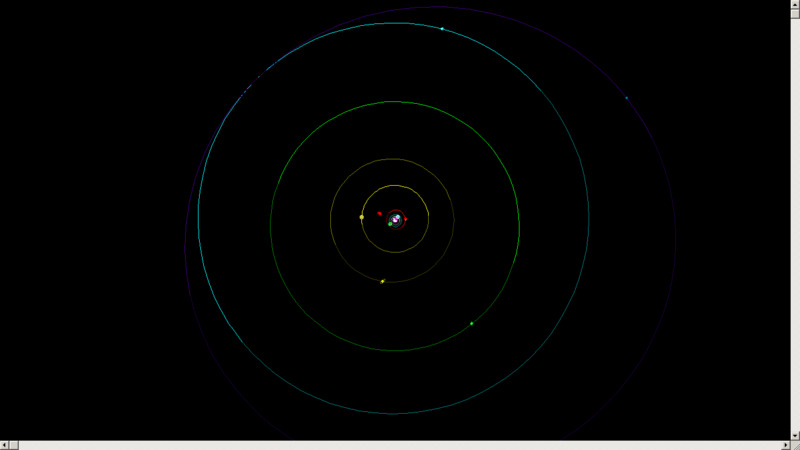 1936 had the same heliocentric Jovian configuration of Saturn opposite Neptune square to Jupiter, as the major heatwaves in Europe of 1252, 1361, 1540, 1578, 1757, 1828, and 2006.
upiter opposite Neptune = cold.